At Maruni Wood Industry Inc., we’re promoting new activities with talented designers to create beautiful collection over utilizing the techniques acquired from our history over 80 years. On the contrary, we concern for the environment goes far beyond the selection of materials and the manufacturing processes. It is a topic that exerts far-reaching influence on all of the company’s activities. Followings are our environmental philosophy and principles. We try to produce furniture over saving energy, saving natural resources, minimizing waste generation in the manufacture. We try to develop our products based on DfE policy. We try to obey all kinds of law and regulations which Japan government requires, and try to maintain continuous environmental development and prevention from pollution. 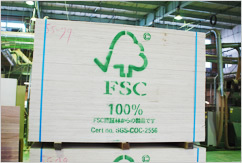 We will use certified material by FSC® only for our collections from the end of March in 2013 to create a society in which timber is sustainably produced and marketed by curbing the present overuse and giving consideration to social development in producing nations. 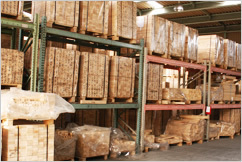 We, Maruni Wood Industry Inc., realize that materials, packaging, and recycling processes must take the dwindling of resources and increasing scarcity of energy applies into account. The impact that the industry makes on the environment must also be dealt with. 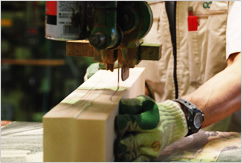 For Maruni Wood Industry Inc., the primary focus is and remains the longevity of the finished products.